India is considered a rapidly growing market for the global construction-machinery industry: Some 46,000 units are expected to be sold there in 2016. BAUMA CONEXPO INDIA is an important industry gathering. 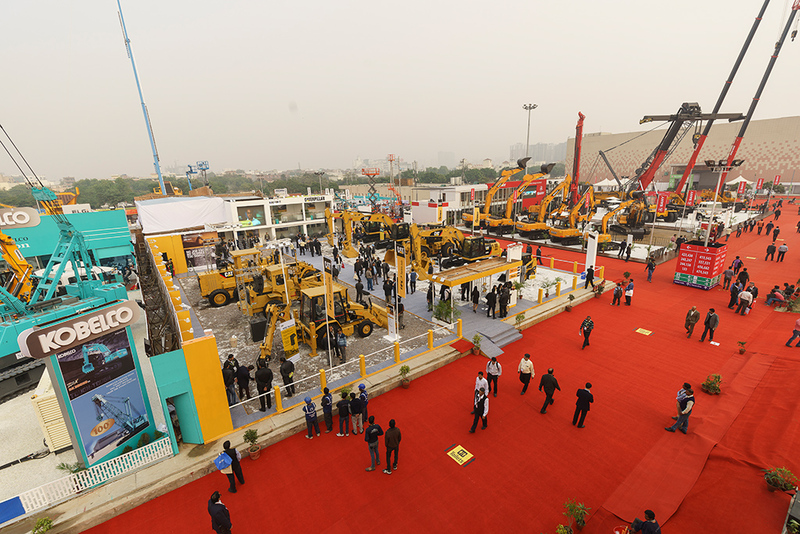 The International Trade Fair for Construction Machinery, Building Material Machines, Mining Machines, Construction Vehicles and Construction Equipment takes place at the HUDA Ground in Gurgaon/Delhi from December 12 to 15, 2016. Last year, global sales of construction machines declined more than 10 percent compared to 2014. Now the British economic forecast and market research company Off-Highway Research is predicting significant growth again in many important national markets. In concrete terms, analysts expect that more than 46,000 units could be sold in India this year—after some 39,000 units in 2015. According to Off-Highway Research, the Indian market could account for more than 80,000 sold construction machines in the year 2019. Based on the forecasts, nearly all types of equipment will profit from this growth, although six types of machines will continue to dominate the market: backhoe loaders, crawler excavators, mobile cranes, mobile compressors, compactors and wheel loaders. However, machines that could only be sold in smaller quantities in India in the past—such as mini-excavators, all-terrain forklifts and compact loaders—will also account for a larger share of the market. According to the Indian Construction Equipment Manufacturers' Association (ICEMA), the upswing will primarily be driven by the road construction and earthmoving sectors during the next two to three years. For example, in keeping with the 12th five-year plan, India will invest one trillion US dollars in infrastructure expansion between the years 2012 and 2017. And Germany Trade & Invest (GTAI) points out that road construction is a top priority for India's Prime Minister Narendra Modi—just like expanding the railway infrastructure and the ports. For example, according to information from the Mumbai Times, the speed of nationwide road construction has increased from three to 13 kilometers per day since Prime Minister Modi took over the government. That number must continue to increase—and do so significantly—if the country wants to reach its political target of increasing its current 96,000 kilometers of roads to 150,00 kilometers within the next four years. In this context, building bridges is also a herculean task. According to the National Highways Authority of India (NHAI), 50,000 bridges are considered technically obsolete and need to be completely refurbished in the medium term or replaced with new construction. In other words, there is plenty of activity on the Indian market, which is good news for the exhibitors and visitors of the upcoming BAUMA CONEXPO INDIA.